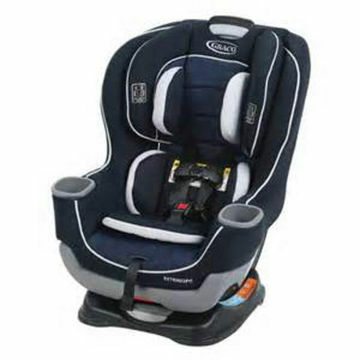 From booster seats to IKEA crib mattresses to Graco strollers and Beech-Nut baby food, here are the recent major baby gear recalls. Are any of these items in your home? Baby food, cribs, strollers, car seats, toys and more baby gear have been recalled recently. From IKEA MALM chests and drawers to Graco car seats and strollers, here are the latest products that have been recalled. Find out what you need to know to keep your baby safe. 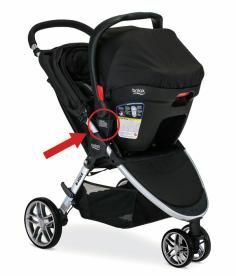 The Danger: The Click & Go receiver mounts that attach the car seat carrier to the stroller frame could detach unexpectedly, and the baby and seat could fall. Description: The recall involves about 676,000 strollers sold in the United States, and 41,100 strollers sold in Canada and Mexico. It's Britax B-Agile and BOB Motion single or double occupant strollers that have Click & Go receiver mounts. You can find the affected model numbers on Britax's recall site. Sold At: Babies R Us, buy buy Baby, Target and other stores nationwide, and online at Amazon.com, albeebaby.com, buybuybaby.com, diapers.com, ToysRUs.com and other websites from May 2011 through February 2017 for between $250 and $470 for the strollers and travel systems. What to Do: Consumers should throw away the Click & Go Receiver and request a free repair kit at 1-844-227-0300 or Stroller.Recall@britax.com. The stroller can still be used safely with your baby fully reclined in the stroller seat, without the car seat attached. 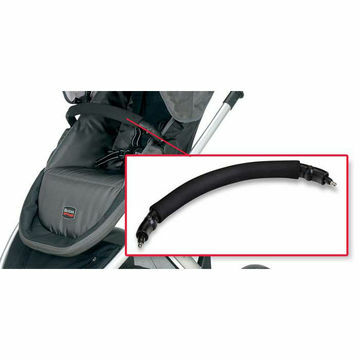 For More Information: Contact Britax toll-free at 1-844-227-0300 or Stroller.Recall@britax.com. The Danger: The hinge used to fold the Dash v5 stroller can become damaged while opening and closing the stroller, posing a pinch hazard to the user. Description: The recall involves about 870 Phil&teds Dash v5 buggy-style strollers with serial numbers ranging between PTRV 0715/0746 and PTRV 0815/2525. (The serial number is printed on the lower left rear cradle, next to the identification label.) For colors and models included in the recall, click here. Sold At: Baby Street, Dainty Baby, Mega Babies and other baby product and specialty stores nationwide and online at Amazon, Diapers.com and on the Phil&teds website from August 2015 through April 2016 for about $550. What to Do: Consumers should immediately stop using the Dash v5 stroller and contact Phil&teds to have the stroller frame replaced free of charge. For More Information: Contact Phil&teds toll-free at 855-652-9019 from 9 a.m. to 5 p.m. MT Monday through Friday or online at www.philandteds.com and click on “Support,” then “Upgrades” and “Recalls." The Danger: The fin of the whale and the head of the octopus can detach from the pacifier holder, posing a choking hazard. Description: The recall involves about 12,900 Little Wishes Summer Plush Pacifier Holders, including the Blue Whale, item number 5202601, and the Pink Octopus, item number 5725213. The pacifier holders are made of a plush fabric, stuffed with fiber, measure approximately 4.5 inches by 2 inches and have a 10-inch ribbon attached to the body. The item number is printed on the top left corner of the product hang tag. “Hobby Lobby 9123069” is printed on the front and back of the sewn-in label. Sold At: Hobby Lobby Stores nationwide from January 2016 through April 2016 for about $5. What to Do: Stop using the recalled pacifier holders and return them to the nearest Hobby Lobby store for a full refund or store credit. For More Information: Contact Hobby Lobby Stores at 800-326-7931 from 9 a.m. to 6 p.m. ET Monday through Friday, or online at www.hobbylobby.com and click on the “Recall” tab at the bottom of the page. The Danger: The rattle seams can separate, exposing the fiber stuffing and bell rattle, posing a choking hazard. 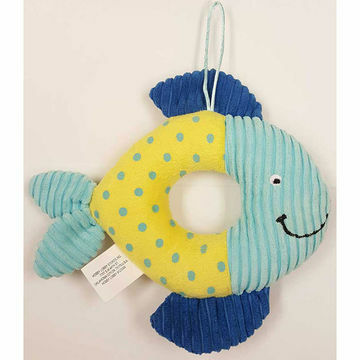 Description: The recall involves about 14,400 Little Wishes Chenille Stuffed Rattles, including the Pink & Green Fish rattles, item number 5141577, and the Blue & Yellow Fish rattles, item number 5127642. The rattles are made of a soft chenille fabric with a fiber stuffing. They are 8.5 inches by 7 inches and have a hole cut out in the middle. The item number is printed on the top left corner of the product hang tag. Rattles have a sewn-in label with “Reg. No. PA-15130(CN)” and “Hobby Lobby 9123069” printed on the front. Sold At: Hobby Lobby Stores nationwide from January 2016 through April 2016 for about $7. What to Do: Stop using the recalled rattles and return them to the nearest Hobby Lobby store for a full refund or store credit. The Danger: The cover can detach from the pacifier’s clip, posing a choking hazard for young children. 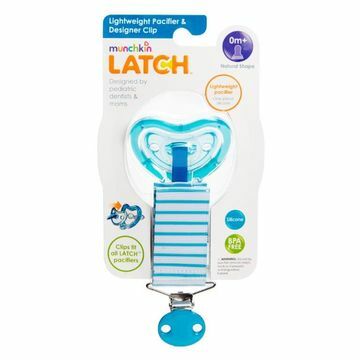 Description: The recall involves around 180,000 Munchkin’s Latch lightweight pacifiers and clips sold as a set in five styles: designer, rattle and heartbeat clips with 0m+ natural shape pacifiers, and designer and rattle clips with 6m+ orthodontic pacifiers. The designer pacifiers and clips 0m+ and 6m+ are in three color patterns: blue and white strips, orange and with white polka dots and pink with white polka dots. The rattle pacifiers and clips 0m+ and 6m+ are green with beads in the pacifier cover to make a rattle sound and have a polka dot strap. The heartbeat pacifiers and clips have a red, heart-shaped pacifier cover and red and white polka dots on the strap. Sold At: Babies R Us, Target, Wal-Mart and other mass merchandisers, juvenile product, baby boutique and discount stores nationwide and online at amazon.com, munchkin.com and other websites from March 2014 through March 2016 for between $11 and $15. What to Do: Consumers should immediately take the clip away from young children and contact Munchkin toll-free at 877-242-3134 from 7 a.m. to 5 p.m. PT Monday through Friday or online at www.munchkin.com (click on "Help" at the bottom of the page and then "Recalls") for a free replacement Lightweight Pacifier pack with two pacifiers or a full refund. The Danger: When a peg is not fully engaged the seat can fall unexpectedly, posing a risk of injury to the child. Fisher-Price has received two reports of this happening, though no injuries have been reported yet. 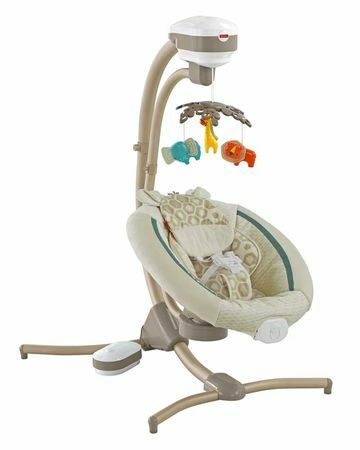 Description: The recall involves around 34,000 products, including three models of the Fisher-Price cradle swings: CHM84 Soothing Savanna Cradle 'n Swing, CMR40 Sweet Surroundings Cradle 'n Swing, and CMR43 Sweet Surroundings Butterfly Friends Cradle 'n Swing. The swings have two different swinging motions—rocking side-to-side, or swinging head-to-toe—and six different swing speeds from low to high. Sold At: BuybuyBaby, Target and other stores nationwide and online at Amazon.com and other websites from November 2015 through March 2016 for about $170. What to Do: Consumers should immediately stop using the recalled cradle swing and contact Fisher-Price at 800-432-5437 from 9 a.m. to 6 p.m. ET Monday through Friday, or online at www.service.mattel.com and click on Recalls & Safety Alerts for more information. for revised assembly instructions. The Danger: Gerber Products Company is voluntarily recalling specific organic pouch food after identifying a packaging defect that may result in product spoilage during transport and handling. There have been three consumer reports of temporary gastrointestinal symptoms, but it is unclear whether these are related to eating the baby food. 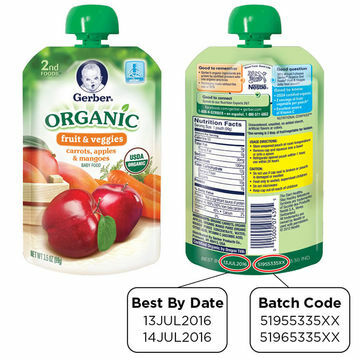 Description: The recall involves Gerber Organic 2nd Foods Pouches in Pears, Carrots & Peas, 3.5 ounce pouch UPC 15000074319 with best by dates/batch codes 12JUL2016 51945335XX and 13JUL 2016 51955335XX and Carrots, Apples and Mangoes, 3.5 ounce pouch UPC 15000074395 with best by dates/batch codes 13JUL2016 51955335XX and 14JUL2016 51965335XX. Consumers may notice that, in some cases, the pouches are bloated and product inside may have an off taste or odor. Sold At: U.S. retailers nationwide and through online stores. What to Do: Consumers who purchased pouches with the above UPCs, batch codes and expiration dates should not use the product and are encouraged to contact the Gerber Parents Resource Center at 1-800-706-0556 anytime day or night for a replacement coupon. Description: Evenflo is recalling 56,247 Transitions 3-in-1 Combination Booster Seats, model numbers 34411686, 34411695, and 34411029, produced from December 18, 2014, through January 29, 2016. The Danger: The central front adjuster (CFA) button that is used to loosen the seat's internal harness may be within the child's reach, allowing the child to activate the CFA and loosen the internal harness, putting her at risk of injury in a crash. This safety issue only impacts the use of the seat in the forward-facing harnessed booster (22-65 lbs. and 28-50 in.) configuration. What to Do: Evenflo will notify owners and provide a remedy kit that includes a newly-designed seat pad and CFA assembly, free of charge. For More Information: Owners may contact Evenflo at www.transitions.evenflo.com or 1-800-233-5921. They may also contact the National Highway Traffic Safety Administration Vehicle Safety Hotline at 1-888-327-4236 (TTY 1-800-424-9153), or go to www.safercar.gov. The Danger: The arm bar can bend or detach during use, posing a fall hazard to children. Nuna has received 50 reports of the arm bar detaching, including six reports of children falling from the high chair. Four incidents resulted in injuries, including bruising and a cut on the forehead. 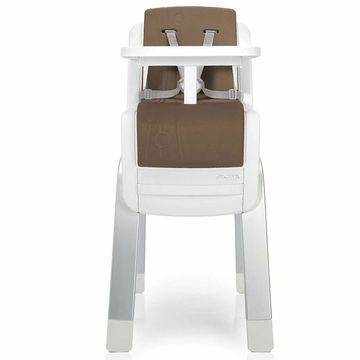 Description: The recall involves approximately 5,950 Nuna Baby Essentials ZAAZ high chairs in eight models: HC-07-004 (pewter), HC-07-005 (carbon), HC-07-006 (plum), HC-07-009 (almond), HC-08-004 (pewter), HC-08-005 (carbon), HC-08-006 (plum) and HC-08-009 (almond). ZAAZ and the model number are printed under the high chair seat on a white sticker. These high chairs look like a regular kitchen table chair and have removable trays, arm bars footrests, seat pads and harnesses so that they can convert into toddler chairs. “Nuna” is printed above the footrest of the unit. Sold At: Albee Baby, Giggle, Magic Bean, Nordstrom and other specialty stores nationwide and online at www.nuna.eu and www.wayfair.com and other online retailers from February 2013 through November 2015 for about between $250 and $300. What to Do: Immediately stop using these recalled high chairs and contact the firm to receive a free new arm bar and instructions on how to replace it. For More Information: Contact Nuna Baby Essentials toll-free at 855-686-2872 from 8:30 a.m. to 4:30 p.m. ET Monday through Friday or online at www.nuna.eu/usa/ and click on “Product Recall” under the “Support” section on the sidebar of the homepage. The Danger: The car seats may have the recline label affixed to the wrong location, resulting in confusion about how to use the seat properly. If the instructions are followed as shown, a rear-facing infant could be placed in an upright position and/or a forward-facing toddler could be placed in a recline position. As such, the child seats fail to comply with the federal motor vehicle safety standards and puts the child at risk of injury in the event of a crash. Description: The recall involves 15,064 Extend2Fit Convertible child seats and is expected to begin February 26, 2016. Sold At: Baby stores nationwide. What to Do: Graco will notify owners and provide a new corrected label with application instructions, free of charge. For More Information: Contact Graco customer service at 1-800-345-4109, the National Highway Traffic Safety Administration Vehicle Safety Hotline at 1-888-327-4236 (TTY 1-800-424-9153), or go to www.safercar.gov. The Danger: The car seat carry handle can crack and break allowing the seat to fall unexpectedly, posing a risk of injury to the infant. 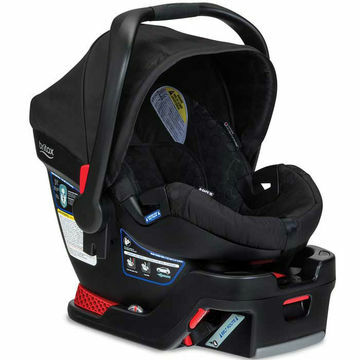 Britax has received 74 reports of handles developing fractures, cracks and/or breaking while in use, including one report of an infant who received a bump on the head when the carrier fell to the ground. Description: The recall involves about 75,890 Britax B-Safe 35 and B-Safe 35 Elite infant car seat and travel systems manufactured between October 1, 2014 and July 1, 2015. 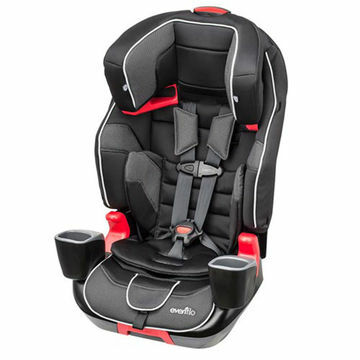 The product can be used as a rear-facing only car seat and as an infant carrier. The car seat/carriers have a canopy, black shell and base, and were sold in a variety of colors. The Britax logo is printed on both sides of the seat shell and on the carry handle grip. Model numbers and the date of manufacture (DOM) are printed on a label located at the back of the infant car seat/carrier shell. For models included in the recall, visit the Consumer Product Safety Commission website. Sold At: Babies R Us, buybuy BABY, Target and other stores nationwide and online at Amazon.com, Diapers.com and other online retailers from November 2014 to January 2016 for between $210 and $250. What to Do: Immediately stop carrying the car seat by the handle until the repair is installed. All consumers who have previously registered their product with Britax will automatically receive a free repair kit. To register to receive a repair kit or verify registration, visit bsafe35recall.com. Consumers can continue to use the car seat when secured in a vehicle or on a stroller. For More Information: Contact Britax at 800-683-2045 from 8:30 a.m. and 5:45 p.m. ET Monday through Thursday, 8:30 a.m. to 4:45 p.m. ET on Friday, or by email at Britax.Recall@britax.com. Consumers can also visit the firm’s website at www.us.Britax.com and click on “Safety Notice” at the top right of the page. The Danger: The foam padding on the stroller’s arm bar can come off in pieces if the child bites it, posing a choking hazard. Britax has received 117 reports of this happening, including five reports of children choking or gagging from the fragments. Description: The recall involves about 60,000 Britax B-Ready strollers and B-Ready replacement top seats that were sold separately. 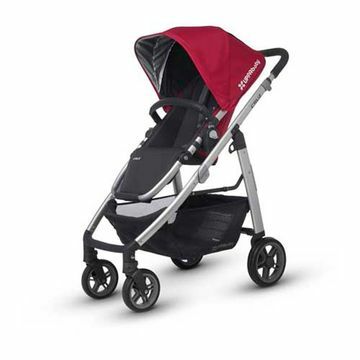 The B-Ready strollers have a silver or black frame with a solid-colored top seat in a variety of colors. The Britax logo is on the stroller’s side hinges and foot rest. B-Ready is printed on the sides of the stroller frame. The stroller’s model number and date of manufacture are printed on a label on the stroller’s frame between the front wheels or on the inside frame that connects to the back right wheel. The replacement top seats were sold separately in a variety of colors and fit into the stroller’s frame. The replacement top seat’s model number and date of manufacture are printed on a black label on the right side tube above the adjuster button, under the fabric cover. For model numbers and dates of manufacture included in this recall, see the Consumer Product Safety Commission website. Sold At: Babies R Us, buybuy Baby, Target and other stores nationwide and online at Amazon.com, Diapers.com and other websites from April 2010 through January 2016 for about $500 for the stroller. The replacement top seats were sold by Britax from April 2010 through January 2016 for about $150. What to Do: Immediately remove the arm bar from recalled strollers and replacement top seats and contact Britax for a free black, zippered arm bar cover and a warning label to apply to the strollers and replacement top seats. You can continue to use the strollers without the arm bar attached. For More Information: Contact Britax at 800-683-2045 from 8:30 a.m. to 5:45 p.m. ET Monday through Thursday and from 8:30 a.m. to 4:45 p.m. ET on Friday, by email at Britax.Recall@britax.com or online at www.us.britax.com and click on “Safety Notice” at the top right, or B-ReadyRecall.com. The Danger: The snaps on the bodysuits can detach, posing a choking hazard to young children. Sold At: Walt Disney World Resort in Lake Buena Vista, Florida, Disneyland® Resort in Anaheim, California, the Treasure Ketch Shop on the Disney Wonder and Mickey’s Mainsail located on the Disney Magic, Disney Dream and Disney Fantasy cruise ships from February 2015 through November 2015 for about $20. What to Do: Stop using the recalled infant bodysuits and contact Walt Disney Parks and Resorts for instructions on returning the bodysuits for a full refund. For More Information: Contact Walt Disney Parks and Resorts toll-free at 844-722-1444 from 9 a.m. to 5:30 p.m. ET Monday through Friday, or online at www.disneyparks.com and click on “Recall Notice” for more information. The Danger: The strap attaching the mobile to the crib rail can break, posing a risk of falling on the baby. Skip Hop has received 8 reports of this happening, though no injuries have been reported yet. Description: The recall involves approximately 4,350 Skip Hop Moonlight & Melodies projection crib mobiles. 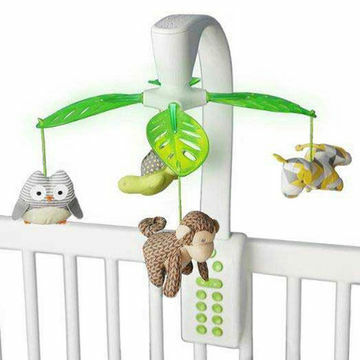 The mobile has a white plastic arm that attaches to the side of a crib with four blinking, glowing leaves with stuffed animal attachments, including a yellow and gray giraffe, a green turtle with a gray and white polka-dot shell, a brown and tan monkey and a gray and white striped owl. The mobile also has a projector on the top of the mobile that projects stars on the ceiling and plays eight nursery lullabies. The mobiles measure 17.5 inches long by 14 inches wide by 22 inches tall. “Skip Hop” and the model number 185509 are printed on the back of the mobile’s base. Sold At: Babies R Us, Buy Buy Baby and other independent baby stores nationwide and online at Amazon.com and skiphop.com from July 2015 to November 2015 for about $65. What to Do: Stop using the recalled mobiles immediately and contact the firm for instructions on receiving a $75 coupon towards the purchase of a new Skip Hop product. For More Information: Contact Skip Hop toll-free at 877-475-4746 from 9 a.m. to 5 p.m. ET Monday through Friday, by email at customerservice@skiphop.com or online at Skiphop.com and click on “Safety Notices” at the bottom of the page under “Customer Care”. The Danger: A child can remove the highchair's tray, posing a fall hazard. Safety 1st has received 68 reports of children removing the trays, including 11 reports of injuries, such as lacerations, chipped teeth and bruises. Description: The recall involves approximately 35,000 Safety 1st Wood Décor highchairs in three models: HC144BZF (Casablanca), HC229CZF (Gentle Lace) and HC229CYG (Black Lace). The model numbers are printed under the highchair seat. 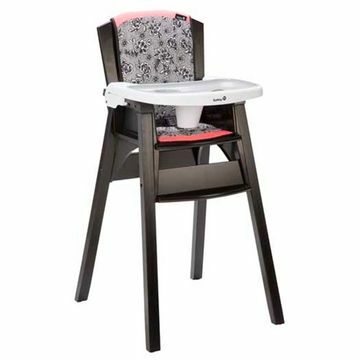 These A-frame black wood highchairs have a removable fabric, black and white print seat pad with a blue or pink border on the top and bottom of the seat pad. The highchairs have a white plastic, detachable tray with a cone-shaped center divider that fits between a child’s legs. “Safety 1st” is printed on the front center of the tray. 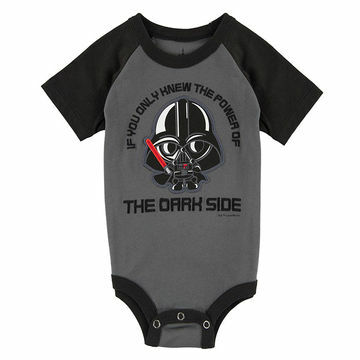 Sold At: Babies R US and Toys R Us retail stores nationwide and online, as well as Amazon and Walmart.com and other online retailers from May 2013 through May 2015 for about $120. What to Do: Consumers should immediately stop using these recalled highchairs and contact the firm to receive instructions on receiving a new tray with labels. For More Information: Contact Safety 1st toll-free at (877) 717-7823 from 8 a.m. to 5 p.m. ET Monday through Friday, email at decorwoodhighchair@djgusa.com or online at www.safety1st.com and click on “Safety Notices” at the top of the page. The Danger: A metal bracket that connects the mattress support to the crib can break, creating an uneven sleeping surface or a gap. If this occurs, a baby can become entrapped in the crib, fall or suffer lacerations from the broken metal bracket. 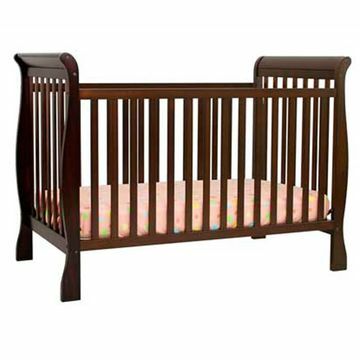 Description: The expanded recall involves approximately 17,613 DaVinci brand full-size cribs including the Reagan crib (model #M2801), the Emily crib, (model #M4791), the Jamie crib (model #M7301), and the Jenny Lind crib (model #M7391) manufactured from May 2012 through December 2012. The model number, serial number and manufacture date are printed on a label affixed to the bottom right hand side panel of the crib. Cribs included in the recall have serial numbers that begin with “N00,” followed by one of the following numbers. A previous recall included the same model numbers, but had different serial numbers. Sold At: Target and children's stores nationwide and online at Amazon.com from May 2012 to December 2013 for between $150 and $250. What to Do: Consumers should immediately stop using the recalled cribs and contact DaVinci for a free replacement mattress support which includes replacement brackets. In the meantime, parents are urged to find an alternate, safe sleeping environment for the child, such as a bassinet, play yard or toddler bed depending on the child’s age. For More Information: Contact DaVinci toll-free at 888-673-6652 from 8:30 a.m. to 5:15 p.m. PT Monday through Friday. Consumers can also visit www.davincibaby.com/safetyrecall3 or www.davincibaby.com and click on “Safety Recall." The Danger: The “D” ring on the pacifier clip can break, allowing beads to detach, posing a choking hazard. Description: The recall involves approximately 46,900 Chewbeads Baby pacifier clip holders in five different styles. The "Where’s the Pacifier?” pacifier clips styles include shapes of a butterfly, dinosaur, heart, sheriff badge and a white baseball with red stitching and a major league baseball team logo. “Chewbeads baby” is imprinted in raised letters on the rubber shape attachment. The pacifier clips have eight multi-colored beads threaded through a narrow satin ribbon that attaches to a pacifier on one end and a plastic D-ring on the other. The clip and beads are about six inches long. The garment clip has the following number code on the back of the plastic clip: 3/31/14, 08/08/14, 12/01/14, 14/30/09, 15/02/09, 25/04/14. 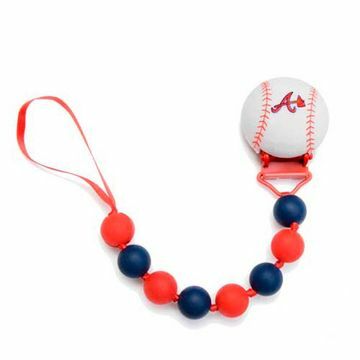 Sold At: Buy Buy Baby and small boutique retail stores nationwide and in Canada from September 2014 through June 2015 for $16.50 for the baseball themed clips and $15 for the other style clips. What to Do: Consumers should immediately take these recalled pacifier clips away from young children and contact Chewbeads for a free replacement pacifier clip or a refund of the purchase price. For More Information: Contact Chewbeads Inc. toll-free at 888-786-7790 from 9 a.m. to 5 p.m. ET Monday through Friday, email at service@chewbeads.com or online at www.chewbeads.com and click on the "Product Recall" link at the bottom of the page. The Danger: In the event of a crash, the top tether anchorage may detach from the child restraint, posing a risk of injury to the child or other vehicle occupants and failing to conform to the Federal Motor Vehicle Safety Standard. Description: The recall involves 173,063 ProRIDE child restraints, model number 332.01 in all colors (AK21, KAEC, KAEG, KK91, MC11, MJ15, QA56, QA9N, QQ11, QQ14, and QQ95), manufactured from April 9, 2010 through June 9, 2015, and Performance RIDE child restraints, model number 333.01 in all colors (CHIL, HABB, HAZE, JEBB, JETT, KNGT, MABB, MARI, MNGT, PLUM, PLBB, REBB, SLBB, REDD, ROBB, ROSE, SABB, SAPH, SLTE, VIBB, VIBE), manufactured from January 15, 2013 through June 9, 2015. What to Do: Recaro will notify and send all registered owners a length of webbing with loops on both ends and instructions to further secure the child restraints, free of charge. For More Information: Contact Recaro customer service at 1-866-628-4750 or by email at recarorecall@m-s-s.com. Owners may also contact the National Highway Traffic Safety Administration Vehicle Safety Hotline at 1-888-327-4236 (TTY 1-800-424-9153), or go to www.safercar.gov. The Danger: The VYSSA and SULTAN crib mattresses could create a gap between the mattress and crib ends larger than allowed by federal regulations, posing an entrapment hazard to infants. There have been two reports of infants becoming entrapped between the mattress and one end of the crib; the children were removed without injury. Meanwhile, the VYSSA SPELEVINK are also being recalled for failing to meet the federal open flame standard for mattresses, posing a fire hazard. Description: The recall involves approximately 340,000 IKEA VYSSA and SULTAN style crib mattresses across the U.S. and Canada with the following model names: SULTAN BLUNDA, SULTAN DRÖMMA, SULTAN SNARKA, SULTAN SUSSA, VYSSA VACKERT, VYSSA VINKA, VYSSA SPELEVINK, VYSSA SLÖA and VYSSA SLUMMER. 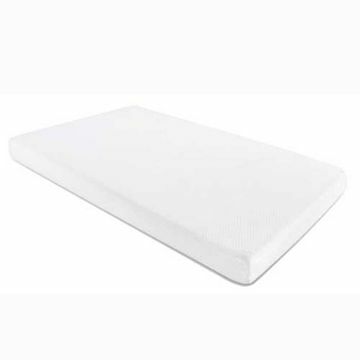 The recalled mattresses are 52 inches long and 27 ½ inches wide and were manufactured on May 4, 2014 or earlier. An identification label attached to the mattress cover has the date of manufacture in Month-DD-YY format or YY-WW format and the SULTAN or VYSSA model name. 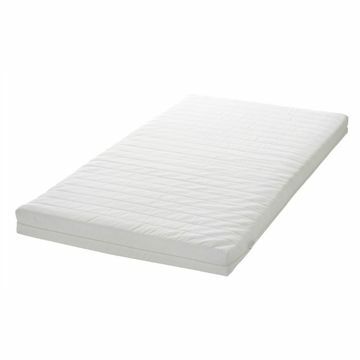 In the YY-WW format, mattresses with a date code of 14-18 or earlier are being recalled. A gap between the mattress and crib ends larger than two finger width is an indication of the defective mattress. Sold At: IKEA stores nationwide and online at www.ikea-usa.com from October 2000 to May 2014 for about $20 to $100. What to Do: Consumers should inspect the recalled mattress by making sure there is no gap larger than the width of two fingers between the ends of the crib and the mattress. If there is, customers should immediately stop using the recalled mattress, call (888) 966-4532 and return it to any IKEA store for an exchange or a full refund. Consumers with VYSSA SPELEVINK mattresses, whether or not they had received them as part of an earlier recall exchange, should immediately stop using them and return them to any IKEA store for a full refund. The Danger: The basket can slide off an inclined surface and its stand can tip, posing a fall hazard for babies. 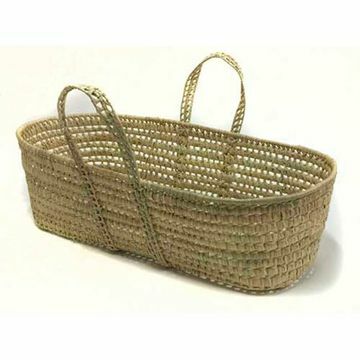 Description: The recall involves approximately 5,500 baskets and 800 stands. The Moses basket is made from natural tan wild palm leaves and measures about 33 inches long by 14 inches tall and 10 inches wide. The stand has a pine wood frame, a fabric platform and polyester rope design. The stand measures 17 inches tall by 14 inches wide and 15 inches wide when extended. “Tadpoles” is printed on the clear plastic wrapping on the moses baskets and stands. Sold At: Babies R Us and buybuy Baby and online at Amazon.com, Bellacor.com, Kohls.com, Quidsi.com, Wayfair.com and Zulily.com from April 2014 through July 2015 for between $50 and $90 for the moses basket and from June 2014 through July 2015 for between $25 and $35 for the stand. What to Do: Immediately stop using the moses basket and stand and contact Sleeping Partners for instructions on returning the basket and stand to receive a store credit. For More Information: Contact Sleeping Partners toll-free at (844) 489-9498 from 9 a.m. to 5 p.m. ET Monday through Friday or online at sleepingpartners.com and click on "USA" then "Support" to access the moses basket recall information. The Danger: A wooden ring that hangs from the toy can break into small pieces, posing a choking hazard to young children. Description: The recall involves approximately 2,800 My Snuggly Ellie Activity Toys. 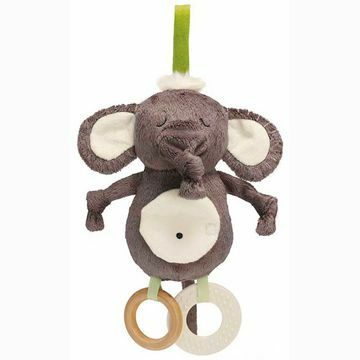 The toy is a plush brown elephant with white crinkle ears, a green hanging loop on top of its head, which can attach to a stroller or crib, a mini mirror on its stomach, and a teether and wooden ring hanging below its body. 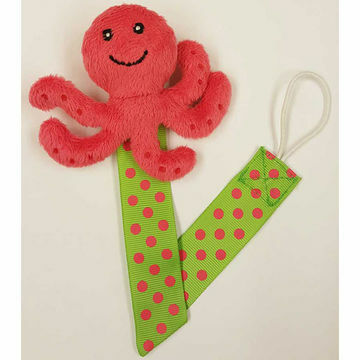 The item number is 212520 and can be found on the small white tag sewn into the bottom of the toy. Sold At: Specialty toy and baby stores nationwide, and online at www.manhattantoy.com from February 2014 through May 2015 for about $10. What to Do: Consumers should immediately take the toy away from young children and return it to where it was purchased for a full refund. For More Information: Contact Manhattan Group toll-free at (800) 541-1345 between 8 a.m. and 5 p.m. CT Monday through Friday, or visit www.manhattantoy.com and click on “RECALLS”. The Danger: The crib mattresses fail to meet the mandatory federal mattress flammability standard for open flames, posing a fire hazard. Description: The recall involves approximately 18,500 Stork Craft foam crib and crib/toddler mattresses with model numbers 06710-100 and 06710-200 and a date of manufacture between August 2014 and January 2015. The mattresses have a zippered white fabric cover and measure about 28 inches wide and 52 inches long with a 5-inch-thick foam core. The model number, date of manufacture and “Stork Craft Manufacturing (USA) Inc.” are printed on a federal label attached to the white mattress cover. The mattresses’ boxes have a Graco logo on them. Sold At: Walmart stores nationwide and online at Amazon.com, EChannel.com, ToysRUs.com, Walmart.com and Wayfair.com from August 2014 through April 2015 for between $38 and $50. What to Do: If you have a recalled crib mattress, immediately stop using it and contact Stork Craft for a free, zippered mattress barrier cover to be placed over the mattress foam core and under the white mattress cover provided with the mattress. For more information: Contact Stork Craft at (800) 274-0277 Monday through Friday between 7 a.m. and 3 p.m. PT, by email at parts@storkcraft.com, or online at http://storkcraftdirect.com and click on "Product Recall" near the bottom of the page. The Danger: The strollers' and RumbleSeats' bumper bar poses a choking hazard when a child bites into the foam covering. UPPAbaby has received 22 reports of children biting off a piece of the foam. No injuries have been reported. Description: The recall involves approximately 79,000 2015 CRUZ and 2015 VISTA strollers and 2015 RumbleSeats. 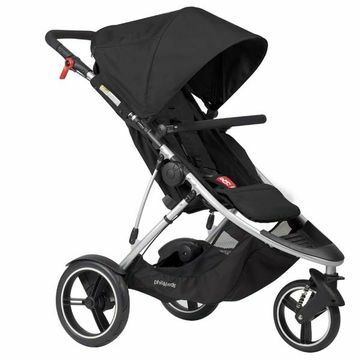 The strollers have an aluminum alloy grey or black frame with a black fabric toddler seat, a colored fabric sunshade canopy, and a black basket under the seat. The UPPAbaby name and logo are printed on the side of the canopy and “CRUZ” is printed in white lettering on the handlebars of the stroller. The VISTA strollers have grey or black aluminum frames, a colored sunshade canopy and are made to hold up to three children. "VISTA" is printed in white lettering on the handlebars and "UPPAbaby" is printed across the bottom diagonal rail of the frame next to a black fabric basket. The RumbleSeat is a separate seat attachment that can be attached to the stroller frame, they have manufacture dates stamped on the bottom of the seat from September 2014 through May 2015. The RumbleSeat comes in various colors and allows the child to ride rear facing, forward facing or reclined. 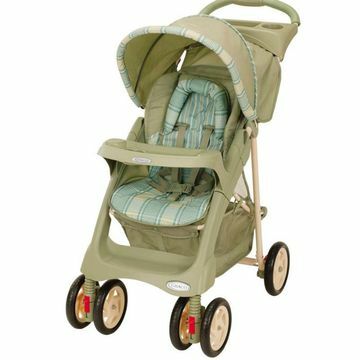 All of the strollers and RumbleSeats have a foam bumper bar across the middle of the product for the child to hold. Visit the U.S. Consumer Product Safety Commission's website for a list of serial numbers included in the recall. Sold At: BuyBuy Baby and other baby stores nationwide and online at Amazon from December 2014 through July 2015 at about $500 for the CRUZ stroller, $860 for the VISTA stroller and $170 for the RumbleSeat. What to Do: If you have a recalled stroller or RumbleSeat, immediately remove and stop using the bumper bar and contact UPPAbaby on the number below to receive a free cover and warning label. For more information: Call (844) 540-8694, email contact@uppababy.com or visit www.UPPAbaby.com and click on "Safety Notice" on the lower right hand corner. The Danger: IKEA is rolling out a national repair program for MALM chests and dressers after two two-year-old children died when the chests, which were not anchored to the wall, fell on top of them. IKEA and the U.S. Consumer Product Safety Commission have also received 14 reports of tip-over incidents involving MALM chests, resulting in four injuries. Description: The alert involves approximately 27 million MALM 3- and 4-drawer chests and two styles of MALM 6- drawer chests, and other chests and dressers. 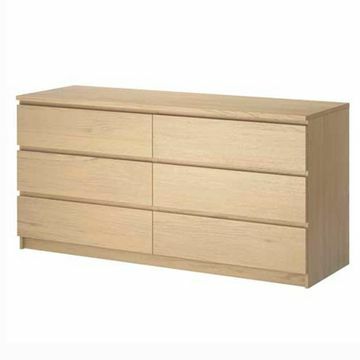 IKEA is offering a free anchoring kit for the MALM chests and dressers to ensure they are safe. Sold At: IKEA stores all over the U.S. and Canada. Prices of the chests range from about $80 to $200. What to Do: Immediately remove all unanchored IKEA children's chests and dressers that are 23.5 inches and over, and adult chests and drawers that are 29.5 inches and over, and store them in a child-free zone in your home while you obtain an IKEA wall anchoring kit. For More Information: To receive a free wall anchoring kit, visit an IKEA retail store, go to www.IKEA-USA.com/saferhomestogether, or call (888) 966-4532. The Danger: The wheels' hub caps can break or come off, posing a choking hazard for young children, though no incidents have been reported. Description: The recall involves approximately 800 Bud and Skipit Wheely Cute Pull Toys from Bunnies by the Bay. Bud, an 8-inch high soft brown puppy toy with a blue and white pull cord, stands on red wooden wheels with blue hub caps. There is a red, blue and white soft ball at the end of the pull cord. 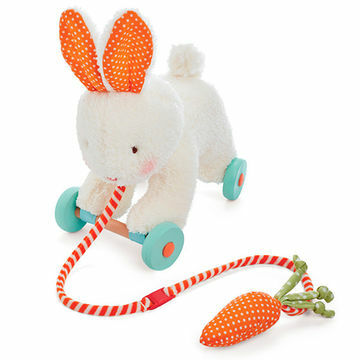 Skipit, an 8-inch high cream-colored bunny toy with an orange and white pull cord, stands on blue wheels with orange hub caps. There is a soft cloth carrot at the end of the pull cord. A label with lot code YM5/14 is sewn on the back leg of each toy. The item number for Bud Wheely Cute Toy, found on the lower right-hand corner of the original packing, is #401101. The item number for Skipit Wheely Cute Toy is #401103. What to Do: Consumers should take the toys away from young children immediately and return the item to where it was purchased for a full refund. For More Information: Call Bunnies by the Bay toll-free at (866) 763-8869 between 8:30 a.m. and 5 p.m. ET Monday through Friday, email customerservice@kidspreferred.com or visit www.kidspreferred.com and click on “Contact Us” at the bottom of the homepage. The Danger: The stitching on the restraint straps can loosen, which allows the straps to separate from the seat, posing a fall hazard to children. OXO has received five reports of this happening following a child pulling on the straps or an adult tightening the straps. No injuries have been reported. 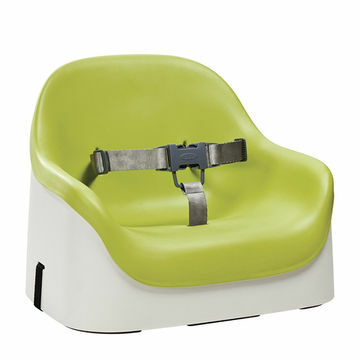 Description: The recall involves approximately 25,000 OXO Nest Booster Seats sold in green (model 6367200), pink (model 6367300), taupe (model 6367500) and orange (model 6367400) with a white base. A sticker affixed to the underside of the seat reads “Nest Booster Seat” with the model number and manufacture date. The manufacture date code represents the month and year in MMYY format and recalled units have the code: 0714, 0814, 0914, 1014, 1114 or 1214. The formed plastic seats are about 13 inches wide by 14 inches tall by 12 inches deep and have a grey three-point child restraint strap system. The OXO logo is embossed on the restraint system’s buckle. Sold At: Buybuy Baby, Toys“R”Us/Babies“R”Us and independent specialty stores nationwide and online at Amazon.com from September 2014 through April 2015 for about $55. What to Do: Consumers should immediately stop using the Nest Booster Seats and contact OXO at (800) 545-4411 from 9 a.m. to 6 p.m. ET Monday through Friday for a free repair kit with redesigned safety straps and installation instructions. For More Information: Email info@oxo.com or visit them online at www.oxo.com. The Danger: The friction between the wall and the pressure-mounted safety gate is insufficient to hold the gate in position, posing a fall hazard. The lower metal bar can also be a trip hazard. There have been 18 incidents worldwide, including three incidents in which children have been injured as a result of falling down stairs. Description: The recall involves approximately 58,000 PATRULL KLÄMMA and PATRULL SMIDIG safety gates in the U.S. and 17,000 in Canada. The safety gates are white, made of steel and plastic, and measure about 29 inches high with an adjustable width from about 29 inches to 34 inches. The gate has a spring mechanism that fits between the two sides of the door frame to hold the gate in place. A permanent label is attached to the metal bar at the bottom of the safety gate containing an article number. Gates with the following article numbers are recalled: 302-265-21, 500-375-67, 501-919-50, 655-517-10, 700-989-65 and 901-136-01. Sold At: IKEA stores nationwide and online at www.ikea-usa.com from August 1995 through February 2015 for about $35. 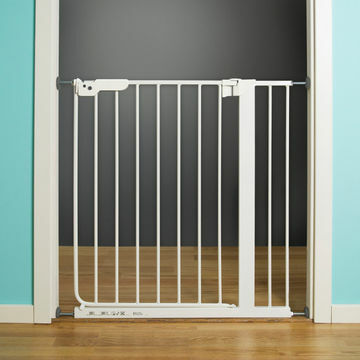 What to Do: Consumers should stop using the safety gate and return it to any IKEA store for a full refund. Any PATRULL KLÄMMA/SMIDIG safety gate extensions may also be returned for a full refund. Consumers who want to keep their PATRULL KLÄMMA or SMIDIG safety gate for limited use in a doorway between rooms or at the bottom of a staircase can contact IKEA to receive free updated user instructions and new adhesive warning labels to put on their safety gate. For More Information: Contact IKEA toll-free at (888) 966-4532 anytime or visit the recall page on the Ikea website. The Danger: The "Vintage Grey" color paint on cribs, furniture and accessories has been found to exceed federal limits of lead and can cause adverse health effects if ingested. Description: The recall involves approximately 4,600 Baby’s Dream full-size cribs, furniture and accessories sold in a vintage grey paint finish under the Brie, Braxton, Heritage, Everything Nice and Legendary collections. Cribs and furniture included in this recall were manufactured between March 2014 and March 2015 in Chile. A label affixed to the bottom of the crib’s back frame and the back panel of the furniture lists the product name, date and location of manufacture, model number and purchase order number (PO#). Click here for a list of model numbers included in the recall. Sold At: Specialty furniture stores nationwide and online at BabysDream.com from March 2014 through March 2015 for between $350 and $900 for the cribs, and between $450 and $1,000 for the dressers, hutches, nightstands, bookcases and chests. Additional accessories were sold for between $100 and $300. What to Do: Consumers should immediately contact Baby’s Dream Furniture at (800) 835-2742 from 9 a.m. to 5 p.m. ET Monday through Friday to arrange for an exchange. 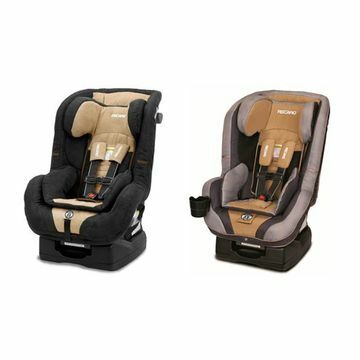 For More Information: Visit the firm’s website at www.babysdream.com and click on the recall image. The Danger: Wire-edged ribbon used in the blanket's tags can become exposed, posing a laceration hazard to children. Goochie Goo Garbs received one report of a child getting scratched. Description: The recall involves about 125 blankets. The affected product is a 6-inch square of soft fabric with crinkle paper inside and ribbon tags in the middle of each of the four sides. 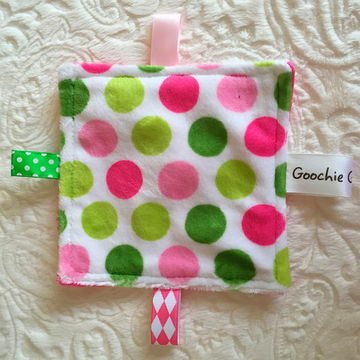 One side of the blanket contains a white satin ribbon tag with the words "Goochie Goo Garbs" on it. The tags are black, blue, green, pink or red with white polka-dots. The blankets come in a variety of patterns including shapes, animals and superheroes and sold for about $10. Sold At: Various children's speciality stores in Arizona, Arkansas, California, Colorado, Kansas, Oklahoma, Texas and Pennsylvania from July 2014 through March 2015. What to Do: Consumers should stop using the blanket immediately and return it to the store it was purchased from for a full refund or replacement. For More Information: Call Goochie Goo Garbs collect at (480) 773-1808 from 10a.m. to 4p.m. MT, Monday through Friday, email customercare@goochiegoo.com or visit www.goochiegoo.com and click on the "Recall Notice" link. 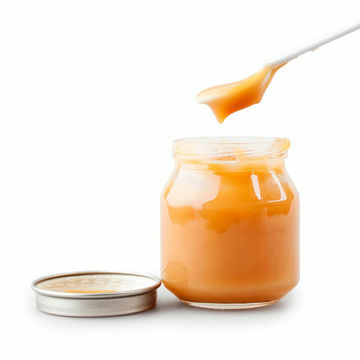 The Danger: The baby food may be contaminated with small pieces of glass. Beech-Nut says it initiated the "voluntary recall" after receiving a single complaint from a consumer who found a small piece of glass in the product. Beech-Nut, of Amsterdam, N.Y., also received a report of an oral injury associated with the consumption of the product, according to the U.S. Department of Agriculture. Description: The recall involves approximately 1,920 pounds of the baby food produced on December 12, 2014. The affected product bears the establishment number "P-68A" inside the U.S. Department of Agriculture's mark of inspection, expires in "DEC 2016" and includes product numbers 12395750815 through 12395750821. Sold At: Retail locations nationwide. When available, the retail distribution list will be posted on the USDA's Food Safety and Inspection Service website. What to Do: Beech-Nut is encouraging customers to return the recalled product to the store they purchased it from for a full refund or exchange. You can also call them at (866) 674-4446 for a full refund. For More Information: Call the Beech-Nut Consumer Hotline at (866) 674-4446 or visit the Beech-Nut website. The Danger: The sharp edges of the die-cast metal cars can pose a laceration hazard, though injuries were reported. 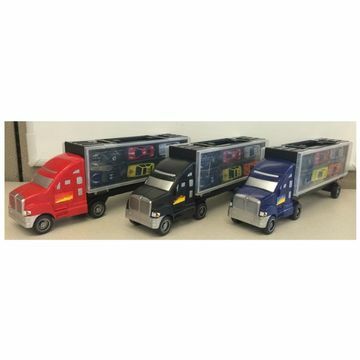 Description: The recall involves approximately 254,000 Tough Treadz Auto Carrier sets, which include a plastic toy truck in black, blue or red, and six die-cast metal cars in various colors. Sold At: Family Dollar Stores nationwide from September-December 2014 for about $5. What to Do: Consumers should immediately take the toy sets away from children and return them to any Family Dollar Stores location for a full refund. The Danger: The robes and footed pajamas don't meet the federal flammability standard and pose a burn hazard, though no injuries have been reported. Description: The recall involves approximately 8,400 Lazy One robes and footed pajamas. The one-piece zip-up pajamas are beige with the words "I'm OWL yours" printed on it; it was sold in children's small through extra-large. The recalled robes are pink with moose graphics and “Don’t Moose With Me” printed on it and red with printed moose graphics and solid black trim. Both were sold in sizes 4T through 14. Sold At: Department stores and children’s boutiques nationwide and online at www.lazyone.com from October 2013 through June 2014 for about $22 for the pajamas and about $15 for the robes. What to Do: Consumers should immediately take the pajamas and robes away from children and return them to Lazy One. For a free replacement, including shipping, consumers should contact Lazy One toll-free at (866) 340-5278 between 9 a.m. and 5 p.m. MT Monday through Friday, or online at www.lazyone.com and click on the "Product Recall" link on the bottom of the page. The Danger: The play yard's rails can collapse, posing a strangulation hazard. 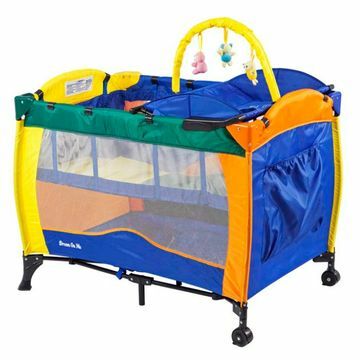 Description: This recall involves approximately 10,000 Dream On Me Incredible two-level deluxe adjustable height play yards with model number starting with 436A, 436B, 436G, 436O, 436P and 436R. The play yards, made with a steel, powder-coated frame base with rolling, hooded casters, have a fabric and mesh covering that comes in a variety of colors. The play yard includes a changing top, a toy bar with soft toys for entertainment, a side pocket for storage and a carrying case. It can be folded for storage. “Dream On Me” is printed on the bottom left-hand side outside of the product, and the model number is printed on a label attached to the play yard’s mattress. Sold At: Online retailers including Amazon.com, Kohls.com, ToysRUs.com, WalMart.com and Wayfair.com from March 2010 through January 2014 for about $60. What to Do: Consumers should immediately stop using the recalled play yards. To receive a free repair kit, contact Dream On Me at 877/201-4317 from 9 a.m. to 5 p.m. ET Monday through Thursday and 8 a.m. to 4 p.m. on Friday. The Danger: The folding hinge on the sides of the stroller can pinch a child’s finger, posing a laceration or amputation hazard. Graco has received 11 reports of finger injuries, including six reports of fingertip amputation, four reports of partial-fingertip amputation and one finger laceration. Description: The recall involves approximately 4.7 million strollers and 11 different models: Aspen, Breeze, Capri, Cirrus, Glider, Kite, LiteRider, Sierra, Solara, Sterling, and TravelMate. All manufactured between August 1, 2000 and September 25, 2014, they are single-occupant strollers with an external sliding fold-lock hinge on each side and a one-hand fold release mechanism on the handle. Sold At: Target, Toys R Us, Walmart and other retail stores, as well as online retailers including Amazon.com and Walmart.com for about $40-$70. What to Do: To order a free repair kit, consumers should contact Graco immediately at 800/345-4109 from 8 a.m. to 5 p.m. ET Monday through Friday or at gracobaby.com. (Click on the “Help Center” at the top and Recall and Safety Notifications for more information.) While waiting for a repair kit, consumers should be careful when unfolding the stroller to make sure the hinges are firmly locked before placing a child in the stroller. The Danger: Components inside of the whistle can detach, posing choking and aspiration hazards. McDonald’s has received two reports of children who coughed out pieces of the whistle that they had sucked into their mouths, including one child who received medical attention. Description: This recall involves approximately 2.3 million whistles in the U.S. and 200,000 in Canada. The recalled whistles are red, with pictures of Hello Kitty on both sides, and were included in a plastic Hello Kitty figurine holding a pink heart-shaped lollipop. When closed, the figurine measures about 3 inches in height and width and 1 3/4 inches in depth. The whistle measures about 1 3/4 inches in height and width and 3/4 inches in depth. 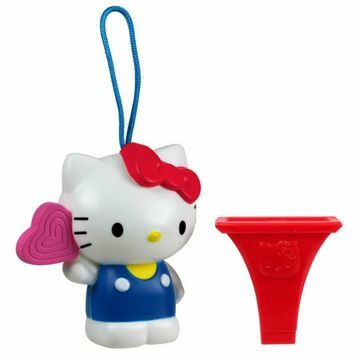 The text “©1976, 2014 SANRIO CO., LTD.” appears above Hello Kitty’s face on the whistle, and “Made for McDonald’s China CCW Chine” appears below Hello Kitty’s face on the whistle. The bag containing the toy includes the text “Hello Kitty® Birthday Lollipop” and the number “6” in the upper right corner. Available At: McDonald’s restaurants nationwide from October 2014 through the first week of November 2014 with Happy Meals and Mighty Kids Meals. What to Do: Consumers should immediately take the whistle away from children and return it to any McDonald’s for a free replacement toy and either a yogurt tube or a bag of apple slices. The Danger: The wipes contain the bacteria Burkholderia cepacia (B. cepacia), and people with weakened immune systems or chronic lung conditions like cystic fibrosis may be more susceptible to infection. The company, Nutek Disposables, Inc., has received one report of irritation and numerous complaints ranging from rash, infections, fever and respiratory issues. These reports have not been confirmed to be related to the wipes. Description: The recall involves wipes distributed by Nutek prior to October 21, 2014, and manufactured under any of the following names: Cuties, Diapers.com, Femtex, Fred's, Kidgets, Members Mark, Simply Right, Sunny Smiles, Tender Touch and Well Beginnings. What to Do: If you purchased any of the wipes affected, stop using them immediately and return them to the place of purchase for a full refund. The Danger: When under pressure, the plastic toast can crack and break into small pieces, creating sharp edges and posing a choking hazard. 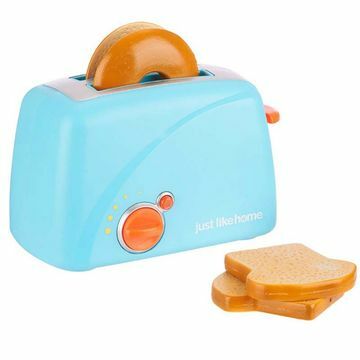 Description: The recall involves approximately 30,000 Just Like Home brand toy toaster sets. Sold At: Toys R Us stores nationwide and online at toysrus.com from July 2013 through August 2014 for about $10. What to Do: Consumers should immediately take this product away from children and return it to any Toys R Us to receive a full refund.